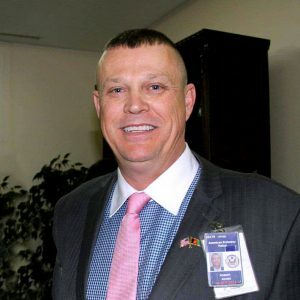 While serving as the Deputy Commercial Officer in U.S. Embassy Kabul, I saw that local Afghans employed by the embassy frequently managed to evade biometric screening and other security systems. At one point, I discovered that an Afghan employee whom I had highly trusted was selling fake credentials. He had been putting U.S. personnel at greater risk to serve his own greed. It became obvious to me that positive identification of an individual before providing them entry to a secure facility, or access to protected information such as a bank account, was a universal challenge. Modern computing power makes it so easy to crack a password that they have become too complex for most people to remember one, much less multiple passwords for multiple systems. It violates protocol but in reality most people have to write their password down and use the same one for everything. Perhaps you, the person reading this, are an exception but I would bet you know many people who do this. Both my civilian and military education taught me that it is more useful to solve a problem than complain about it. I began to think deeply about the problem of positively identifying people to better control access to sensitive locations and information. There was clearly a need for a system that would provide reliable identification of an individual with far better accuracy and convenience than any system currently in place. I decided to call this system “U.I.D.™” because it makes YOU your own identification. With U.I.D.™, your internal bio metrics become your password, passport, drivers license, and identification badge and can replace all credit cards and money by lining your 8 step secure bio metric credentials to your banks. Depending on the application, the reference data can be stored on the device being secured—such as a car or smart phone—to mitigate problems with data connectivity. This prevents a person from being locked out due to lack of local Wi-Fi or cellular service. For very high security applications, the data can be stored on a server or cloud. Someone trying to beat the system cannot do so by stealing a password, changing facial features, spoofing retina bio metrics with contact lenses, manufacturing a false badge, or using surreptitious photographs or fake passports. Positive confirmation of identification requires the presence of the living being of the subject being identified—something not easily faked–if at all using U.I.D.™! U.I.D.™ will provide a revolutionary increase in security and ease of use by governments and for commercial applications such as online banking, air travel, access to ATMs, unlocking cell phones and cars, and many other things that we have not even thought of yet.